Was wondering if there is anything faster than the 100 config, I've been running the 100 conifg on my 6141 for too long. 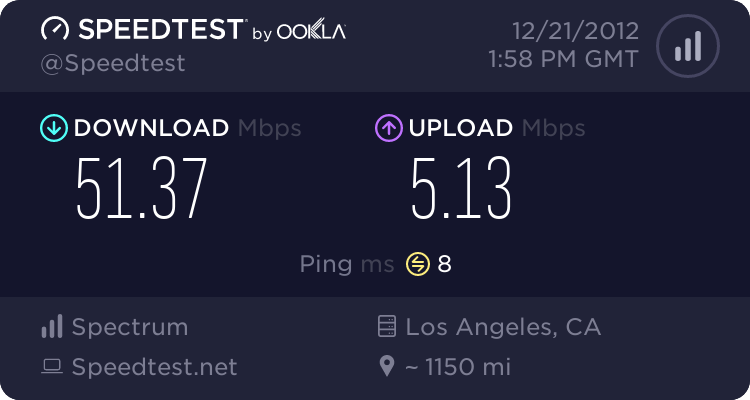 Anyone mind sharing a faster config im in SoCal and unable to scan my area now. I don't sell modems btw I'm simply here as a hobby man who wants faster speeds for his daughters lol Not a cop!!! What's that PCB, cool looking device in a red case in your signature? (03-02-2019, 08:58 PM)occalifornia Wrote: What's that PCB, cool looking device in a red case in your signature? I wish they sold sexier cable modems, like PC cases with all of the windows and colored fans. Give us a neon colored plexi-glass modem! Why do your daughters need a speed faster than 100...? Where did you get that nice black trim for your home made case..?